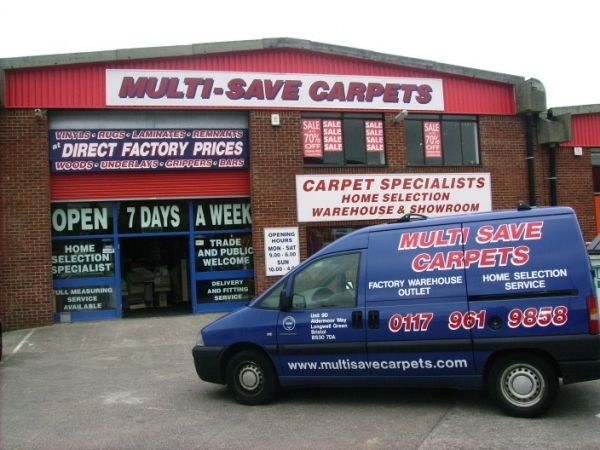 Multisave carpets is an independant family run business with over twenty years experience and its extensive warehouse is accessibly located at Aldermoor way, Longwell Green just off the Bristol ring road. 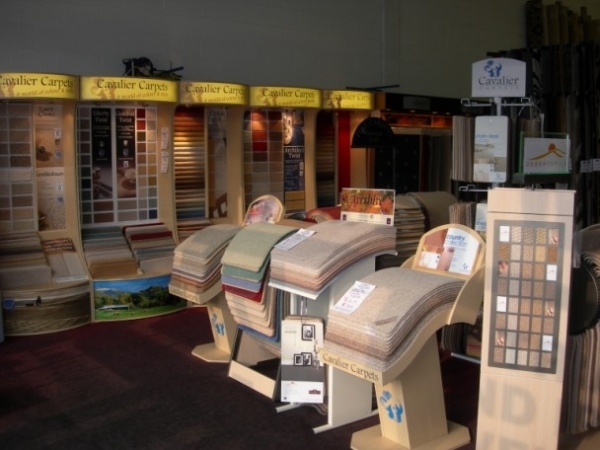 You can browse at your leisure especially if you are working to a budget through our factory priced carpet roll stocks, hundreds of room sized remnants, roll stock vinyls, rugs, laminates, real and engineered woods. When you are happy with your chosen product and your measurements we can arrange fitting for you by our fully trained fitters at a competitve price(most within seventy two hours) or you can choose to fit yourself by cash and carrying and if the product is to large we can arrange delivery for you. If you are unsure of your measurements then our fully trained estimaters will more than happily call round and check your room sizes with no costs to you and while there can arrange fitting dates.